Click your favorite piece to shop the look! 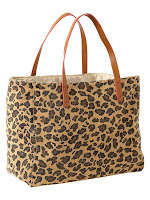 Are you going wild for leopard prints? loving this leopard coat! i've been on the look out for one! 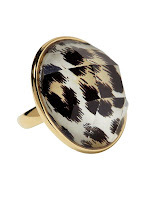 Love your leopard as it's more of a winter white/cream! Love, love, love the jacket! You look so pretty in these pictures, Anna! Loving the print on you. There's a new post up on my blog and I'd love to hear what you think of it, so feel free to stop by! I love the jacket and socks! Obsessed with this look, Anna. The boots are everything. I saw that coat at the mall but wasn't sure how to put it with any of my outfits. I really like how you put it with those awesome boots. This look is very stylish on you. As usual, amazing look! the boots are gorgeous!!! Love animal print, so of course this jacket is amazing! The boot/sock combo is great too! I love leopard print, one of my fans !! Nice look ! Ahhh, this coat is gorg. Anna, you look better than all the celebs. I love your hair in these pictures. How do you get it so curly and big? Another award winning post, hun. Such a fan of leopard prints. Cute coat, love this look. Love the colourful socks!!! So cute. Hope you had a great weekend! I like leopard print a lot, and incorporate it through accessories most of the time, but I adore the coat! Gorgeous bag too! You look gorgeous! love this look! Love this look, so pretty! Love the photos! 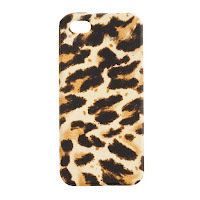 I have the J Crew leopard print cell phone cover and I love it!! You look so adorable! And I absolutely love your jacket! Gorgeous outfit! I adore your coat, it's beautiful. wow anna i love your boots!!! I'm actually rocking the boots and high socks today. Love the trend. you look great. Looks like we both had the idea to do tall boots/tall socks in our posts today....you look great!! and your blog is amazing :) ! Love your orange boot socks, and of course I love anything leopard print! Love your coat! 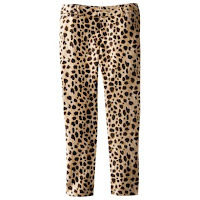 I have almost everything leopard in my closet to my room! Thank you for the lovely comment on my blog. Following you now :-) Would ou like to follow me back? I love those knee highs! Love love your coat and socks!!! LOVE this look! I am totally in love with animal print right now :) Great jacket. Thanks for the follow, I absolutely love your blog and am now following you back! Love the pop of orange. Super unexpected but works great! Hi it's me, I am also visiting this website regularly, this website is really fastidious and the people are in fact sharing nice thoughts. I love boot socks! I don't like the haters... lol Loving the coat! bootsocks... ADORBS!!! As always, paired perfectly with the rest of your outfit!! I absolutely adore those socks. Love the combination with the fluffy leopard coat! I LOVE leopard. It really does go with everything. I also love your hat and the tassels on your bag! What's up, yes this paragraph is genuinely fastidious and I have learned lot of things from it about blogging. thanks. Ooooh I love this outfit! 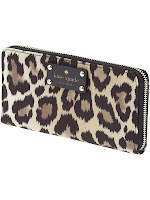 What fashion lover doesn't own there fair share of leopard print!? I know I do!! I am in love with the thigh-high socks and boots too! I live in that look all winter...so warm and still stylish! Perfection! Loving the boots, seriously need to find my 2012 pair! The animal print is amazing, but I'm really loving those burnt orange socks! So cute! 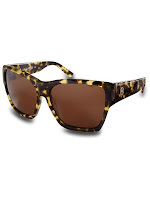 love the chetah print! also loving the socks and boots! Giiiiirl, you are killing these spots. I love this coat and the boots. I feel like I've never seen you in boots before. True story? Either way, I want them. Too cute. Love the animal printed coat! So cute and cheery!! I love the boot socks!! SO CUTE! Love this look! The coat is perfect! I love your splash of orange in your knee high socks and boots. You are soo adorable!!! Love your leopard jacket:))! Love this look, you look supercute! I am always scared to wear leopard print. I feel like it is a very bold print and you need to be confident to pull it off. This post makes me want to try it. Those boots are super cute. I've been searching for a slouchy pair like that for my holiday outfits. It's so cold up here where I live. Having your socks peak out of your boots is such a cute look! I feature a leopard scarf and a zebra tank in my latest OOTD post. I love animal print! LOVE that leopard coat. It is seriously to die for!! And I'm always a sucker for a cute pair of cognac boots. Super cute! This look is so beautiful! Love the coat! I'm going wild for that jacket! Love it! so nice blog . looking so lovely . Love the outfit! Looks good on you! 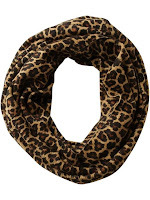 Leopard is one of my favorite prints too! You look lovely as always! You look great! I need to get some boot socks! That jacket is amazing ! Obsessed ! I would love it if you could check out my latest outfit post ! OMG I love your coat! So Cute :) Now I will be on the hunt for orange socks!!! the coat is fabulous Anna! love it! This is one of the cutest looks l've seen this past week! I absolutely love this idea of the warmers and the boots! Super cute! Your jacket is too cute for words! I'm not a huge animal print lover but I do enjoy wearing a little bit of leopard for a little bit of added drama and fun! Those boots are so cute. I really like how u showed the socks out of them. I have to try that. Couldn't agree more! Can never go wrong with leopard! 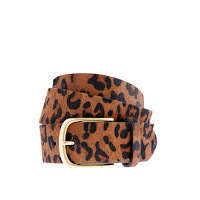 I do little pops of leopard...flats, belt, scarf. LOVE the knee high socks with your boots! When you're wearing leopard, the rule is 'only in moderation'! I really like this post. first your look then the way some celebs wear the trend and then some other ways for us to wear it!! great!! Great Post Anna! Love the boots and the jacket. Looks really fabulous. Great post! I love the posts where you include celebrity fashion inspiration. You look great as always. You look adorable! Love the colour combination with the orange socks! Nice blog and nice blog! Followin!! Visit me my blog, and if you like it follow me back. waw! !wanna them all...amazing so much! Love your outfit! Super cute and I love the coat. Im in need of a winter coat and I think Zara has the perfect one! love this outfit you have a wonderful blog. Super cute Anna, love the added orange too! You styled this great! Ahh you look absolutely adorable! Love your leopard print jacket and those boots and socks go perfectly with it! happy helloween from germany ! Loving the high socks & boots combo looks great! You always rock any style and still infuse your own personal style into it :) I love how cute you look with this outfit! I'm in love with animal print. I'm a fan of animal print as an accent piece. Great finds! Currently I'm in love with my Steve Madden leopard print loafers. Yes I am!! 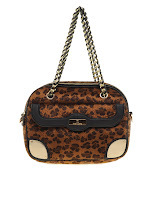 Just orderer myself a leopard mini skirt and can't wait to style it. Have been looking for the perfect leopard coat for a while, your's i fab! You have done an excellent job of research and writing. Hi theгe! This iѕ my first comment herе so I just wanted to givе а quick shout out anԁ ѕay I tгuly еnjoу reading thгοugh your blog posts. Can you suggest anу other blogs/websites/forums thаt dеal ωith the same topісs? Thanks For Posting! Printed Boots Best Collection of Boots stores in Australia .